Animals had been a part of our life for a long time and we tend to build very strong and close relationships with them. When moving abroad, many expats and students have to take their pets with them. Now, how do you do that? GRADLYN. The Animal Travel Agency. Quality and professionalism in the business sector. Reliability from a single source. 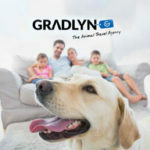 Satisfied customers shape the Gradlyn success story for over 45 years. 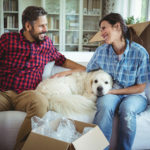 In the section below, we provide you with information on how to ship your pet to Germany and the rules and requirements. Small animals such as cats, can be taken on the airline in a cage with some airlines, however, other larger pets will need to be transported differently. First and foremost, you have to ensure that your pet is healthy enough to travel, especially when it comes to age and sickness. You would need to go get your pet checked at the vet and present the necessary documents. Ensure you have everything that you need. You also have to make sure that the type of animal you have, is legal in the country you wish to move in. Some dog breeds or exotic animals might be restricted. Once you get that settled, it is wise to find a pet friendly accommodation or hotel, prior your arrival, in order to avoid uneasy situations. Do not leave your best friend at home, take your pet with you to Germany by following the steps and tips available in the articles in this section.